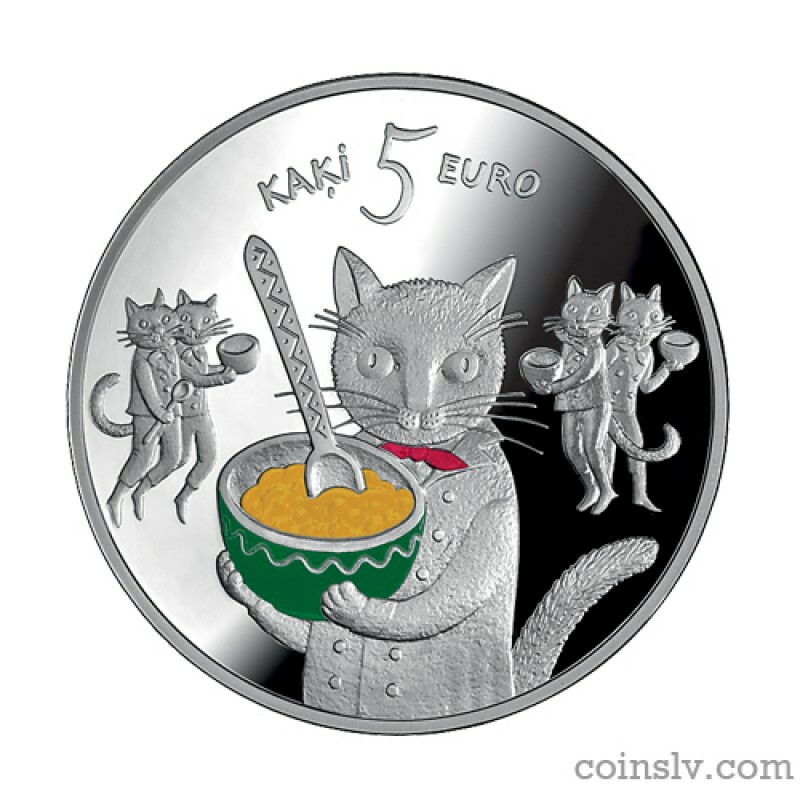 Latvia 5 euro 2015 "Fairy tale coin I. 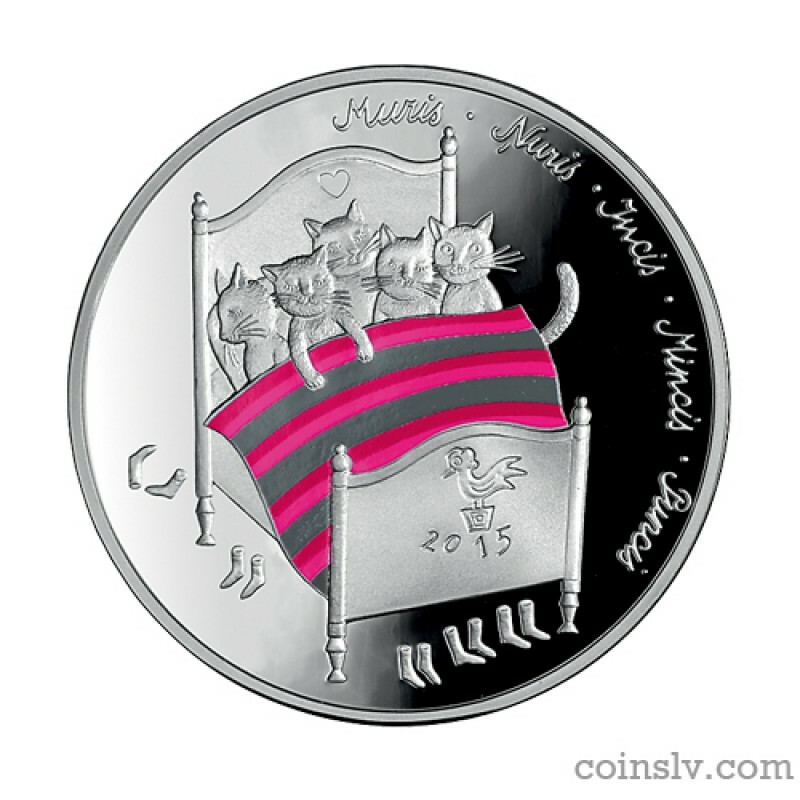 Five cats"
Obverse: The obverse of the coin features a bed with five sleeping cats. The bed-foot is decorated with an image and the inscription 2015. The names of five cats – Muris, Ņuris, Incis, Mincis and Puncis – are arranged in a semi-circle on the right. Reverse: A cat holding a porridge bowl is placed in the centre. Cats with smaller bowls and spoons are featured on either side of the central motif. 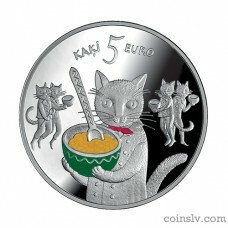 The words KAĶI (CATS) and EURO, with the inscription of the coin's value and cats' number "5" in between them, are placed at the top. Edge: The inscriptions LATVIJAS BANKA and LATVIJAS REPUBLIKA (Republic of Latvia), separated by rhombic dots.